Istanbul offers tons of options for fish lovers. It’s really easy to find a restaurant in a broad price range and different tastes. There are several options for raki lovers or luxury restaurants where you can celebrate special occasions. 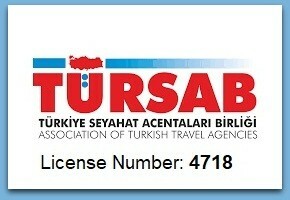 So, which are the best restaurants to eat fish in Istanbul? In order to answer this question thoroughly, we’ve chosen a few restaurants in different style and price range. 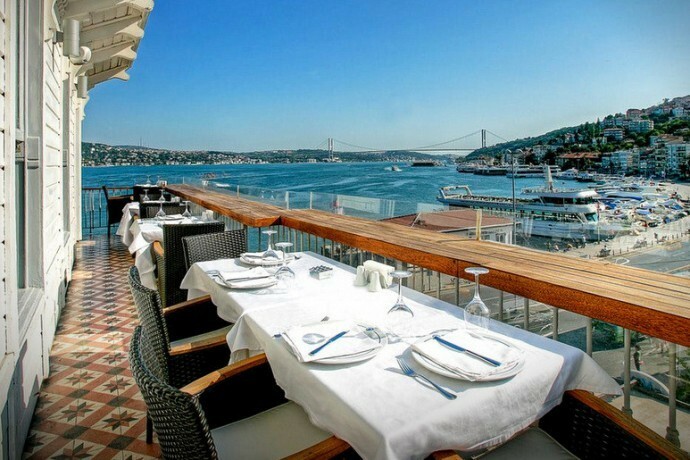 We hope that this article will be as popular as our previous article Best Restaurants in Istanbul With Bosphorus View. 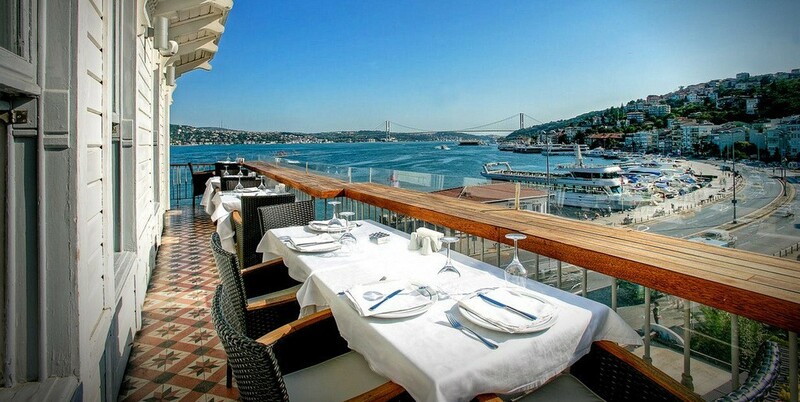 Here is a list of the Best Fish Restaurants in Istanbul. Sur Balik has six branches in Turkey and this branch we are talking about is at Arnavutkoy where there are a lot of other fish restaurants. Sur Balik has a rich menu with such delicacies as fish in dough, fish wrapped with chard, seabass served with mustard sauce and many other top quality seafood and fish choices. 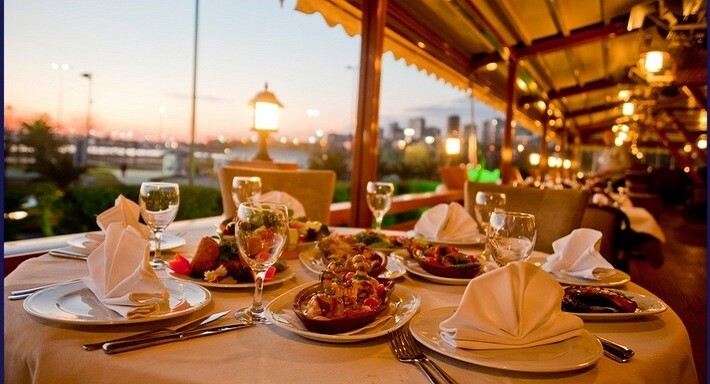 In addition to the great food Sur Balik offers, you can enjoy the majestic view of the Bosphorus as well. 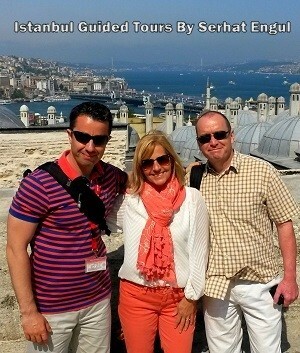 Sur Balik has three other branches in Istanbul, but don’t worry if you are not in Istanbul. 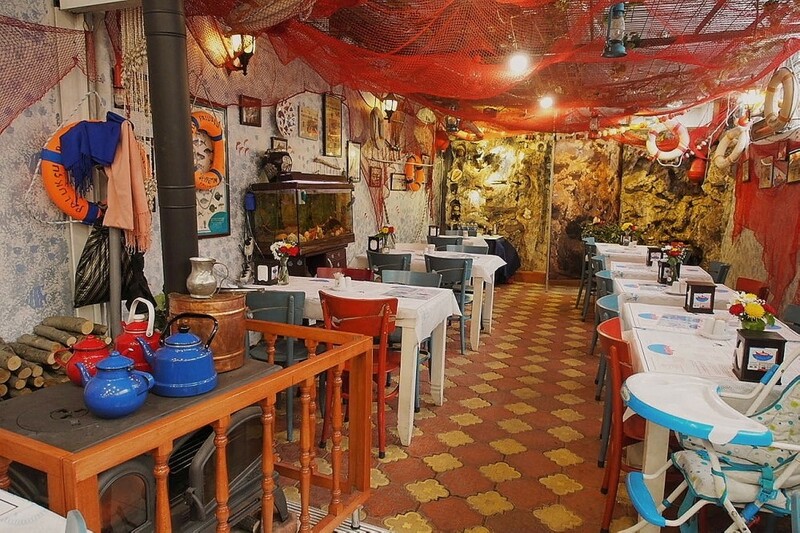 You can taste the great fish and other seafood of Sur Balik in Ankara and Cappadocia too. 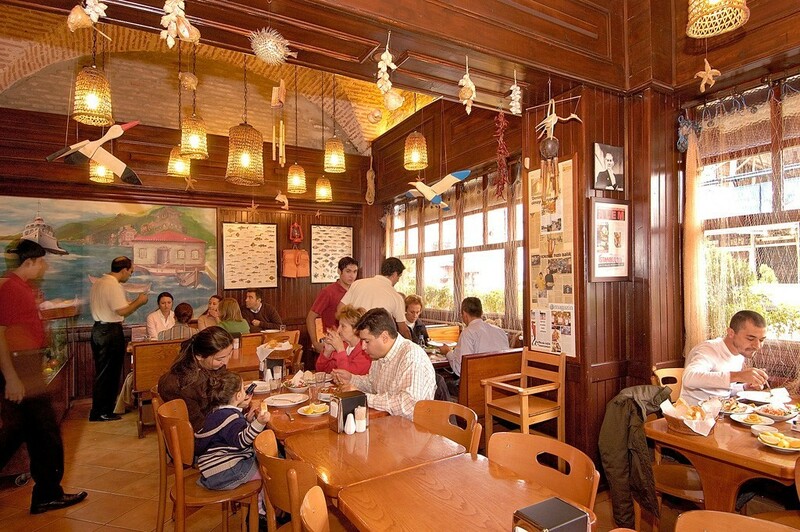 Set Balik was originally an outdoor restaurant under the name Hacı Osman when it was first opened in 1967. In the following years, the menu of the restaurant grew richer with additions like fish pie and turbot. Set Balik is one of the best fish restaurants in Istanbul with its two branches. The restaurant offers main fish courses as well as such specialties as fish pizza, mussels in olive oil and fish hash browns. We definitely recommend you to try the food at Set Balik that you can’t find elsewhere easily. Kiyi is one of Istanbul’s nice authentic restaurants. The restaurant was opened in 1964 and has been a popular one among fish enthusiasts with its traditional fish dishes, hot and cold starters. Kiyi Resturant is also special with its wood panel design and a collection of pictures of celebrities hanging on its walls. Even if you are not a fish lover, you can still dine at Kiyi Restaurant, as you can find such meat dishes as grilled meatballs and sirloin. However, if you are a seafood lover, you will definitely find something to your taste. Anyone fond of eating fish must definitely try Balikci Kahraman. The restaurant is acknowledged as a great fish restaurant both nationally and internationally with its top-notch food quality and service. Turbot in this restaurant can be grilled or cooked in an oven made in a floor furnace. Moreover, if you love breaded fish, stewed shrimp and turbot, Balikci Kahraman is the best choice. Be advised that you need to travel to Rumeli Kavagi to enjoy these delicacies, which is a little outside the city center, but we can assure you that it’s worth it. Adem Baba was opened on a small boat at Bebek in 1990s and it has grown tremendously since then. Adem Baba is one of the most distinguished fish restaurants in Istanbul now. Although Adem Baba is a great choice for fish lovers, the restaurant cannot accommodate a lot of customers at once, as they have only 5 tables at Bebek branch. Therefore, be advised that you may need to wait a little for your turn to be served. Due to the high demand from its customers, Adem Baba opened another branch exclusively for home delivery in 2000. Moreover, another branch was opened in 2002 at a restored historical Greek house. Adem Baba is one of the symbols of Arnavutkoy thanks to its two restaurants and home delivery service. Its rich menu offers turbot, smelt, salmon, anchovy and other options. Palukcu is located at Capa-Sehremini, one of Istanbul’s oldest neighborhoods. Palukcu offers a wide range of dishes like boneless anchovy, saurel, bass, bream, salmon, mullet, bluefish and around 20 more fish choices, calamari, shrimp, and mussel. 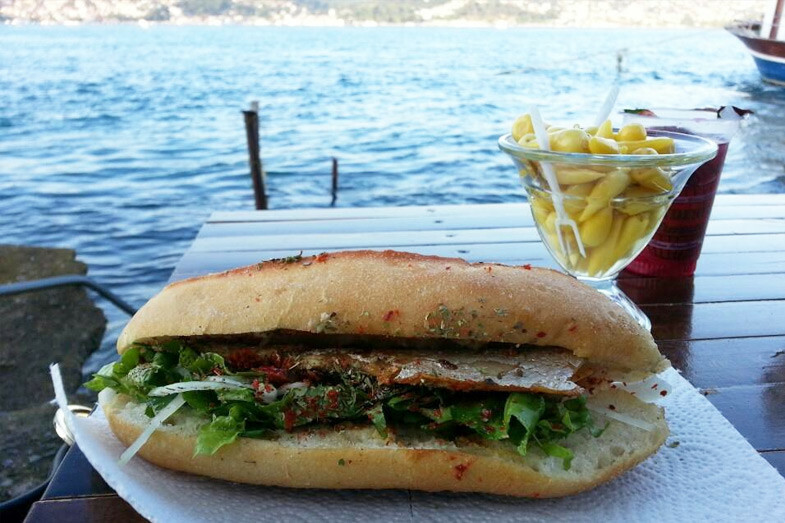 Compared to famous fish restaurants at the Bosphorus, Palukcu can be described as a hovel, but you can still enjoy grilled anchovy sandwich or mackerel at Palukcu. Moreover, you can bring your fish from outside, have it cooked at Palukcu and enjoy it at your home. You should definitely try anchovy spring rolls, steamed acorn, marinated bass, steamed bass and perch at Palukcu’s blue and fish nest covered tables. Of course, the best dessert to accompany fish, halva, is in its menu too. If you are a grilled fish sandwich lover, Taka Balik Ekmek should be on your list. The restaurant has a hovel atmosphere, but it’s a great restaurant success. You can enjoy the seasonal grilled fish sandwich or served on a plate depending on your choice. Moreover, salads, mussel and calamari are some other options for its customers. 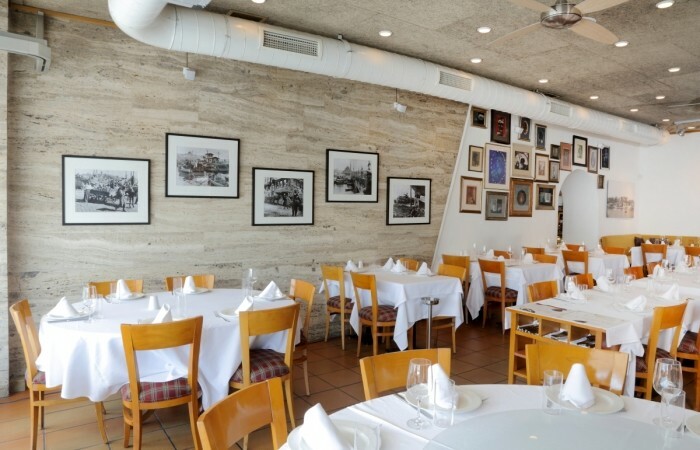 Originally a cafe, then a waterside club, this restaurant started to serve under the name Ismet Baba Restaurant in 1981. Ismet Baba known as one of the best Best Fish Restaurants in Istanbul since then. The third generation of the family is in charge of the restaurant where you can enjoy delicious dishes and an amazing Bosphorus view. In addition to the fresh fish menu, the restaurant offers authentic delicacies like fish pastrami and fried brains. Apart from seafood, you can also find broad bean, stuffed grape leaves , and cold starters at Ismet Baba Restaurant. Cibalikapi is one of the few places left where you can enjoy the atmosphere of a classical alehouse. The restaurant is located at Historical Moda Pier and the owner of the restaurant opened his place after 18 years of working as a journalist. 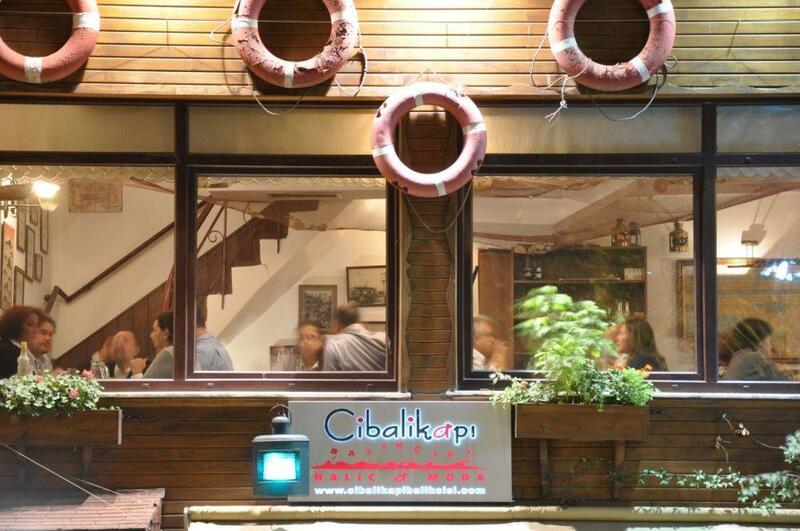 Cibalkapi Balikcasi has two branches in Istanbul at Halic and Moda. In its rich menu, you can find fresh fish and appetizers. Fish salad, mashed roe, dried tomato roll, grilled cheese mussel, hot and cold appetizers are the elements of the rich menu at Cibalkapi. If you wish to cook the food in its menu, Cibalkapi Balikcisi released a book both in Turkish and English in which they shared the recipes in its menu. There are 130 different recipes in the book that was published on the tenth anniversary of the restaurant. Eftalya Balik‘s first branch was opened in Arnavutkoy and the other branch is at Saskinbakkal. The restaurant promises, ”flavor, warmth and elegance” to its fish enthusiasts with its years of experience. 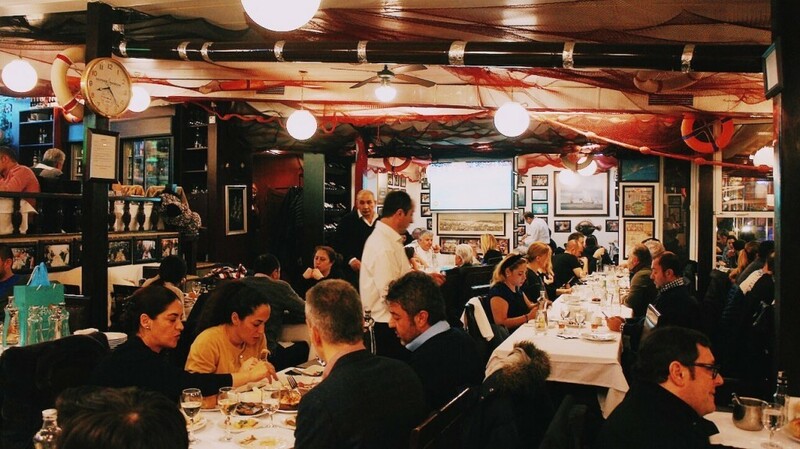 The restaurant brings a wealth of experience thanks to its 5 partners who used to be chefs and managers at famous fish restaurants before they opened Eftalya Balik. Fish soup as a starter, grilled fish soup served with oiled garlic sauce, seafood crepe, and stuffed calamari are some of the specialties you can try at Eftalya Balik. Besides classical desserts that accompany fish, you can also enjoy homemade baklava in its menu if you are a dessert lover. Moreover, if you don’t like seafood, you can choose a dish from red meat choices. 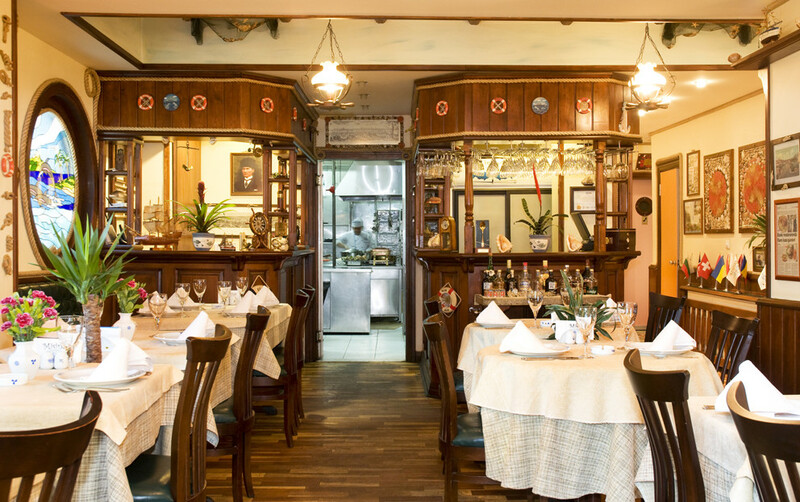 Misina Balik stands out as a fish restaurant with its special recipes. You can taste some unique delicacies like Misina eggplant roll, squid crepe only at Misina Balik. If you love appetizers, a wide range of choices from Crete, Greek and Aegean kitchens will definitely leave you satisfied. The decor of Misina Balik is also unique thanks to its garden among pine trees of ages old, but if you wish, you can dine at its indoor area too. Misina Balik is one of the few restaurants in Istanbul where you can taste goose leg, Misina fish kebab, artichoke salad, and Aegean herby fish. Whether you are an old customer or it’s your first time, you are most welcomed at Misina Balik. Bebek Balikcisi was opened at Bebek in 2008 and it has been moved to Pendik Marina recently. In this restaurant, chemical-free fruits and vegetables are washed with organic water and go to your table as the most delicious appetizers. Bebek Balikcasi is the restaurant with great quality of fish and service. 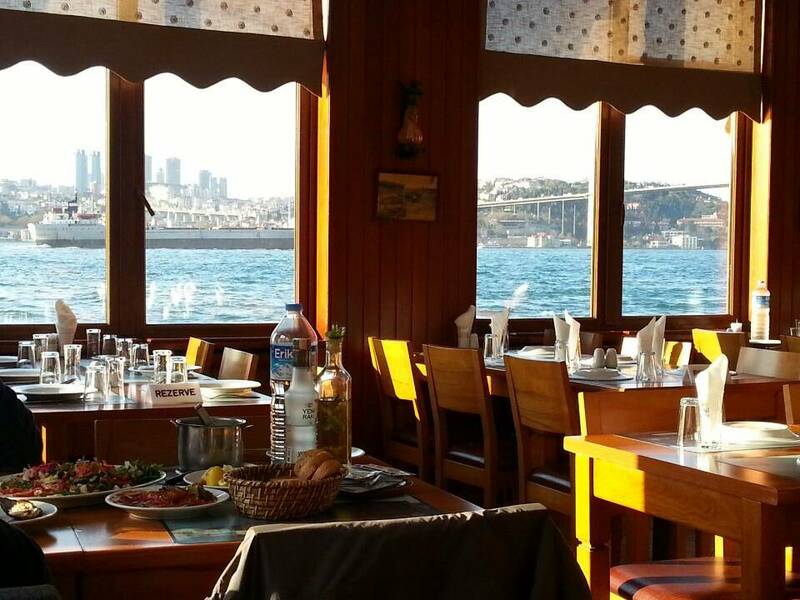 You can enjoy the islands view at Bebek Balikcisi while you have appetizers and fish. Bebek Balikcisi offers such special dishes as Crete style tomato dip with pepper and onions, fish pastrami, Armenian style chickpeas with onion and cumin, tabbouleh, squid, carpaccio and other fish choices. Catana Balik is located on the Asian Side at Suadiye coast and it has been in business since 2001. Grilled fish, red mullet, fish in milk are some of the special dishes you can taste at Catana Balik. Moreover, stuffed mackerel, bass, fish pizza are some of the hot starters you can also try.